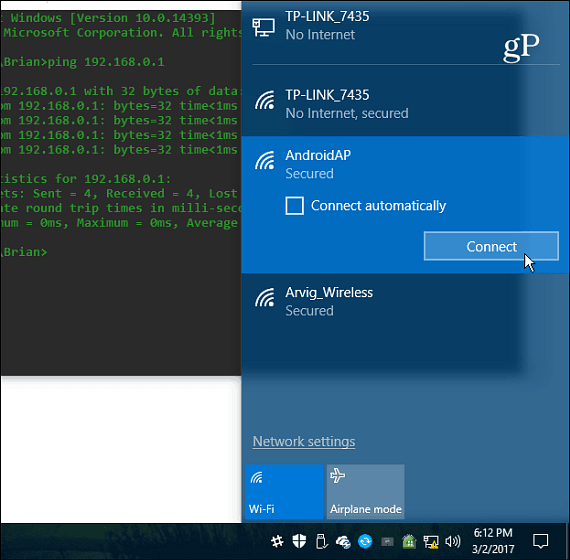 If you’re ever in a pinch and need to connect your PC or device to a Wi-Fi connection, you can turn your Android handset into a mobile hotspot. Have you ever been in a situation where you need to use your laptop but there isn’t a Wi-Fi connection available? It can happen when you are traveling or live in a rural area when the power goes out. Or, perhaps your connection simply goes down. 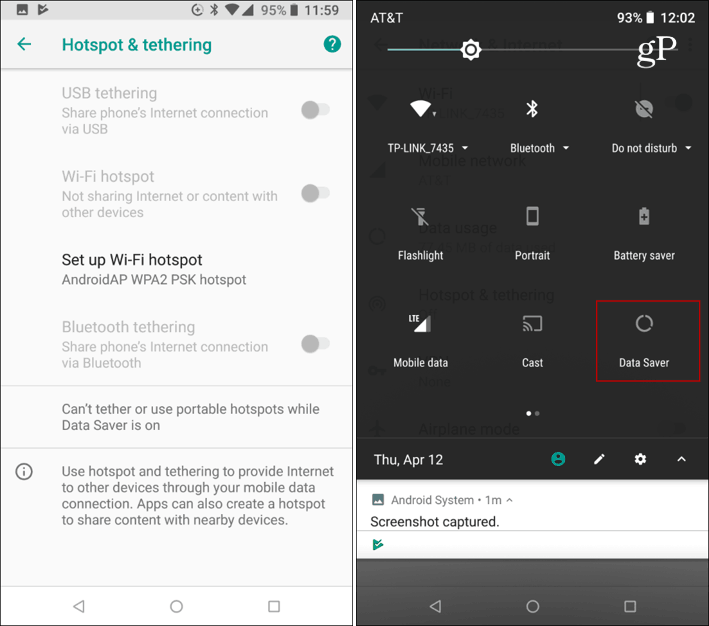 Whatever the case, if you have your Android phone with you, here’s how to turn it into a Wi-Fi hotspot that you can connect to and get your work done. For this article, I am using stock Android 8.1 Oreo on a Nexus phone. The interface will vary depending on your device and version of Android, but this will give you an idea of what to look for. 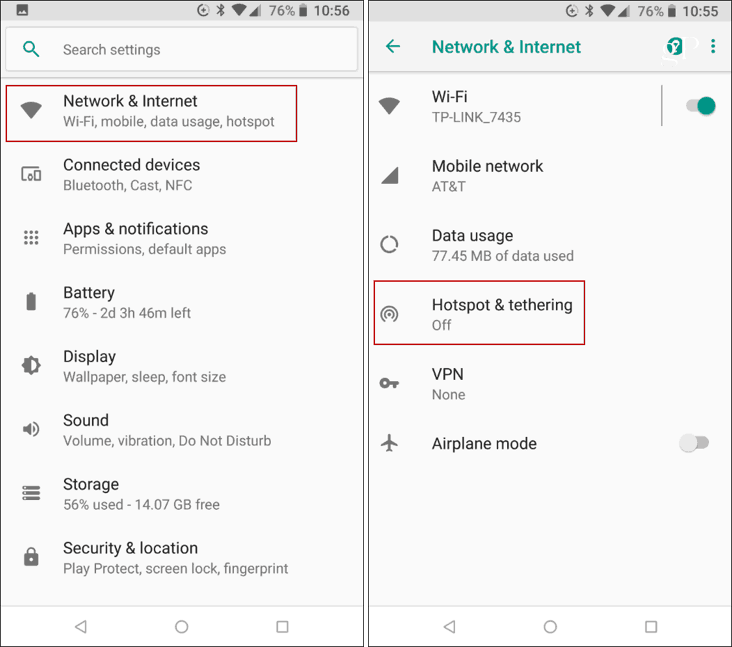 On your phone, head to Settings > Network & Internet > Hotspot & Tethering. Next, turn on the “Wi-Fi hotspot” switch and tap “Set up Wi-Fi hotspot” from the menu. On the next screen type in a network name (or just keep the default), choose the type of security, and then a password — which needs to be a minimum of seven characters. Keep in mind that if you have the Data Saver option enabled, the option to turn on the hotspot will be grayed out. You will need to turn it off before you can create a hotspot. To turn it off, swipe down on the notification shade and tap the Data Saver icon. Now that your phone is acting as a hotspot, you can connect your laptop or other devices to it. For example, here I am connecting my Windows 10 PC. From the Wi-fi settings, you will find your phone acting as a hotspot and you can connect to it by entering the password you set up on the phone. Keep in mind that you are using your phone’s data connection and if you’re on a limited plan you need to be judicious with the things you are doing online. You wouldn’t want to be wasting it on streaming Netflix or downloading large torrent files. On the other hand, if you have a plan with unlimited data, you might want to keep your phone as the hotspot and ditch your ISP as it might be more affordable. 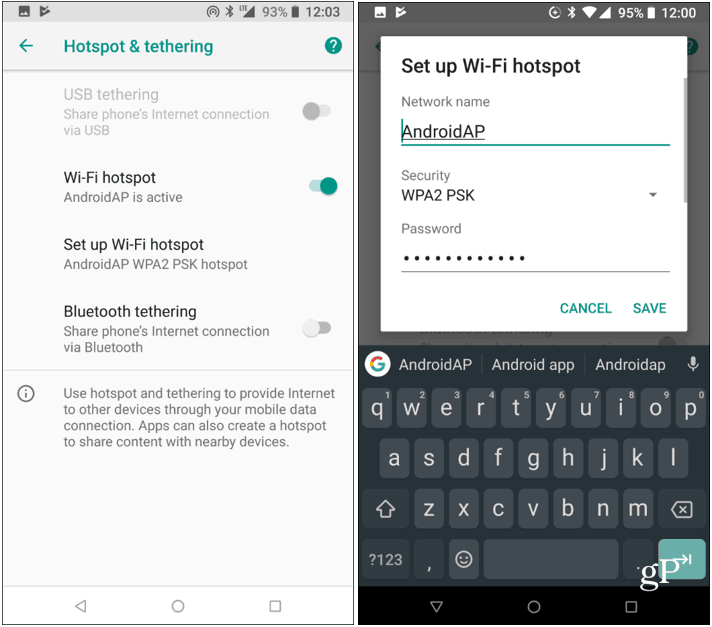 Whether you need it in a pinch or use it on a regular basis, setting up your Android phone as a Wi-Fi hotspot is a piece of cake.